Jackie Robinson was an American Major League Baseball (MBL) player. 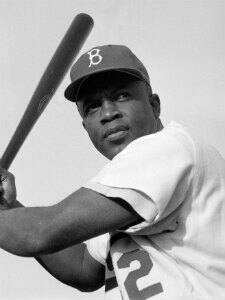 Born on 31st January 1919, Robinson was the first African American to play the major leagues in the modern era. Robinson played as a baseman for Brookly Dodgers and played at first base on 15th April, 1947. Robinson was inducted into the Baseball hall of Fame in 1962. In his 10-year baseball career, Robinson was a recipient of the inaugural MLB Rookie of the Year Award and was an All-Star for six consecutive seasons beginning in 1949. Robinson was the first African American to win the National League Most Valuable Player Award and also played a major role in ending the racial segregation in baseball.